Who hasn’t lain awake at 3:00 a.m. wondering how they were going to afford future needs? Most of us are so worried about paying this month’s bills or getting the kids through college that we hardly consider how we are going to have enough money to retire. But finding a way to save here and there over time can mean fewer nights spent worrying, and everyone has to start somewhere. After decades of working, setting money aside from every paycheck, it’s comforting to have it there waiting to be put towards the cost of long-term care. But what if you don’t? What if you or a parent never could seem to build up that nest egg and now find yourself needing long-term care in Assisted Living like Regency Retirement Village? You can relax a little bit because there are some financial assistance solutions, which we detail elsewhere on this website. This month’s blog is dedicated to answering some of these concerns. In Tennessee, residency in a Regency community may be partially funded based on a resident’s assets, income, and needs. Some conditions can apply, such as mandatory companion living, and residents may be required to use private pay until they run out of their own money to pay for residency. The amount paid usually comes with a maximum cap. We recommend speaking with an elder law attorney several years before you actually transition to an Assisted Living community. Can I Sell my Home and Use that Money to Pay for Assisted Living? Regency has a program called ElderLife that extends a line of credit to those who want to move immediately to Regency and leave the work of preparing their home for selling. It’s actually pretty simple and convenient for those who don’t want to hassle with the process themselves. 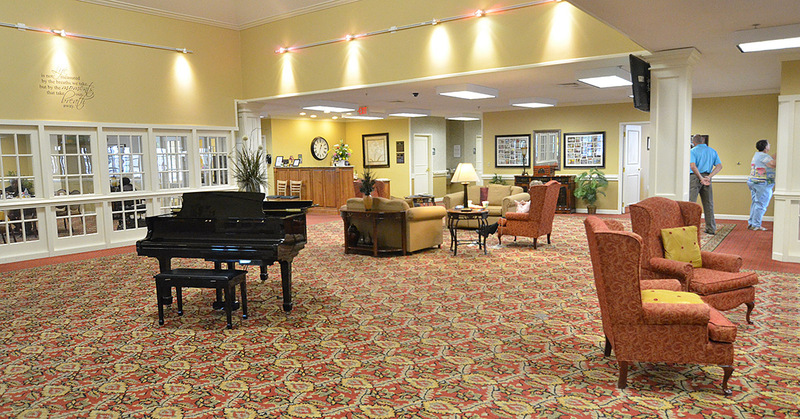 How Can I Reduce the Cost of Rent at Regency Retirement Village? We have an arrangement called Companion Living that works just like sharing a college dorm room, lowering the cost for the residents while still preserving a lot of the same services that those in private apartments enjoy. With so many planned activities, the residents will have lots of time to get out of their shared space and enjoy the whole facility. Is There any Sort of Assistance for Veterans? Yes, sort of. Those wartime conflict veterans 65 and older, their spouse, and other dependents may be eligible for assistance from the U.S. Department of Veterans Affairs (VA). For more information on applying with the VA, visit https://www.va.gov/ or ask one of our Regency Community Coordinators to assist you with starting the process. Can I Convert a Life Insurance Policy to Pay for Long-Term Care? Quite possibly! A partner called Life Care Funding makes applying to see if you’d qualify free and easy. Are Assisted Living Community Fees Tax-Deductible? Consultation with a tax professional is strongly advised before making financial decisions, but you may be able to qualify for the IRS gift tax exemption of up to $15,000 per individual per year. When should I Look into a Long-Term Care Insurance Policy? The median policyholder starts coverage at age 60, meaning about half of the people start planning in their 50s and the other half in their 60s. If you fall into these age bands, it’s a good time to get quotes on Long Term Care plans available to you from companies that sell this. You can also possibly get some discounts by coupling this with Medicare supplement insurance or by applying with a sibling at the same time. If the stock market is too volatile for conservative investments, purchasing property that can generate monthly rent from tenants can give seniors a way to spread their savings out and grow them over time. Regency strongly recommends speaking with an elder law attorney and consulting with a tax professional before making financial decisions.